Luxury Homes Dallas Custom Homes |One Owner. Builders personal home. Beautifully tree shaded, wonderfully designed and maintained. Floor to ceiling windows. 4 br 3.2 baths. Designer touches abound. 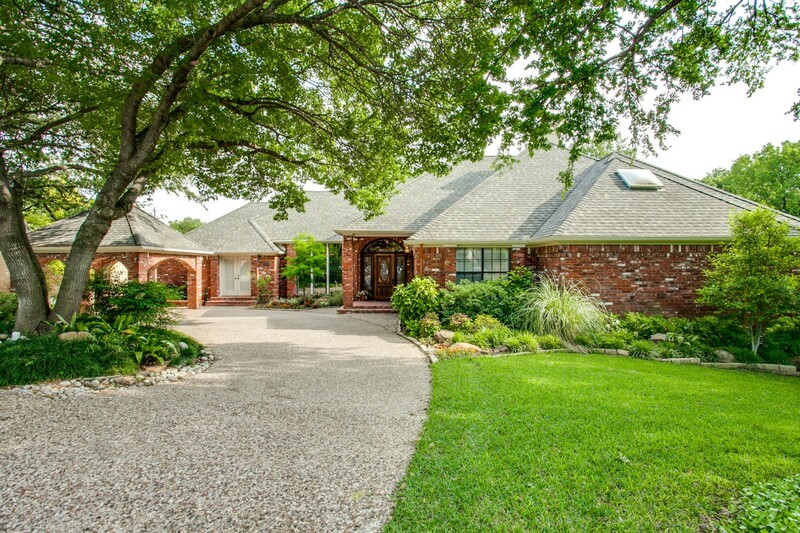 Prime outdoor wish-list: pool, spa and generous yard on landscaped cul de sac creek lot. Great flow for entertaining inside and out. Downstairs separate media room w it’s own entrance, office and half bath attached to the 3 car garage with 13 x 10 workshop and 12 x 29 storage area.